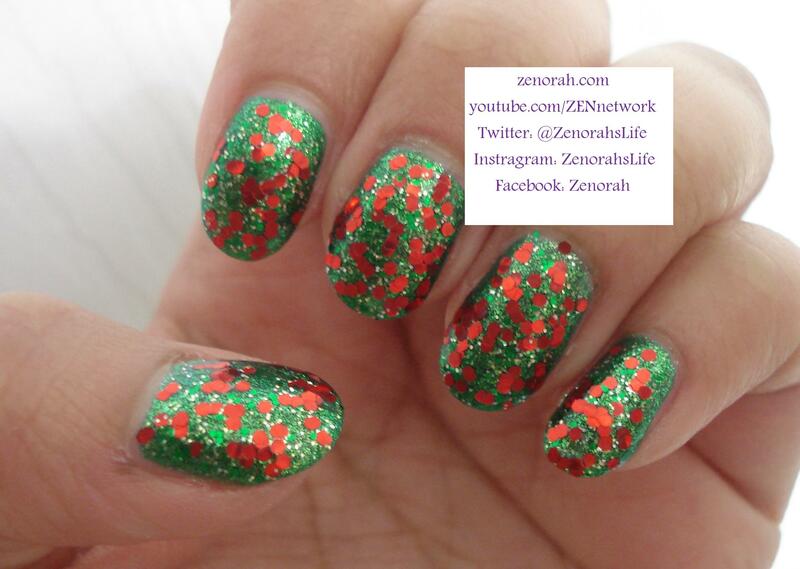 Hi everyone, today I have a very festive manicure to share with all of you. For anyone who does not know already, I live in Toronto, Ontario Canada and we endured a massive ice storm that knocked out electricity and water across the entire city for about 3 days. My husband & I was contemplating making alternative plans for the holidays but thankfully all is well and this was the manicure I painted before the chaos. Zoya ‘Ivanka’ – for the green base (this is two coats). 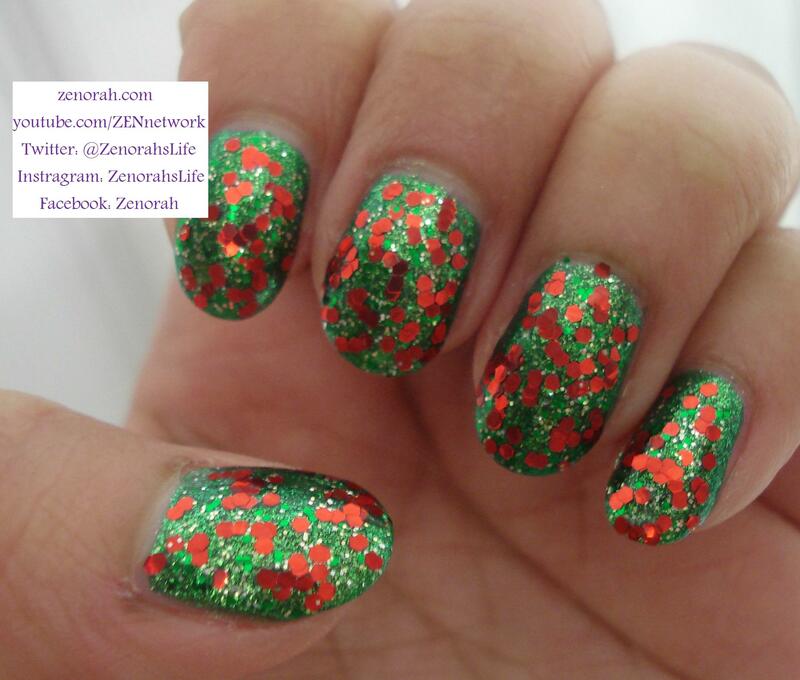 China Glaze ‘Party Hearty’ – for the micro gold, green & red glitter particles and…. 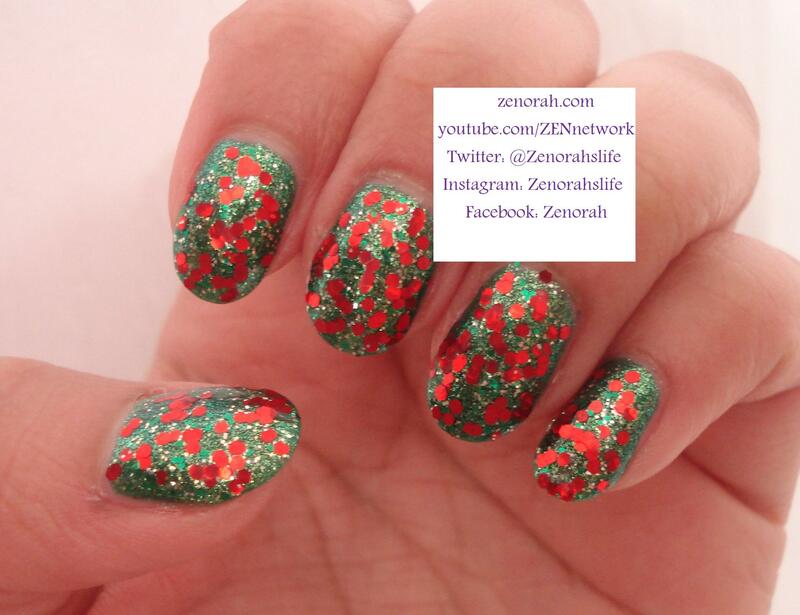 Milani ‘Red’ Glitter – for the chunky red glitter particles. I’m not a very creative nail art person which is why I always gush over other nail blogger’s creativity, but I do like this manicure, I honestly was playing around but this is one I would wear again or with different colour combinations in the future. Happy Holidays, thank you all for sticking with me throughout 2013 and I hope 2014 will be even better!!! I’ll try to blog more in the coming year =) Merry Christmas & Happy Holidays! Super combination i love this!!!! !